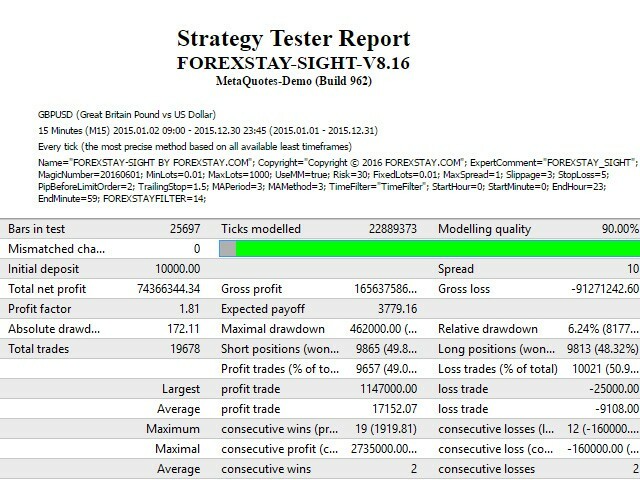 ForexStay Sight is a very smart expert system that works with many strategies & many filters and can open and manage the best trade in the right time. 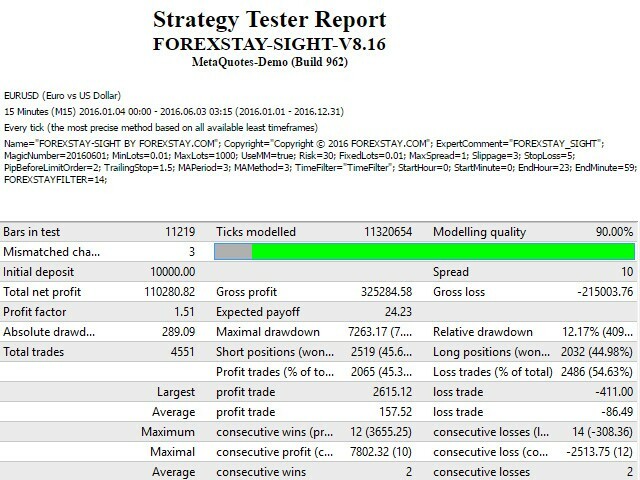 Its uses Many smart strategies, and no martingale, no hedging, no grid. 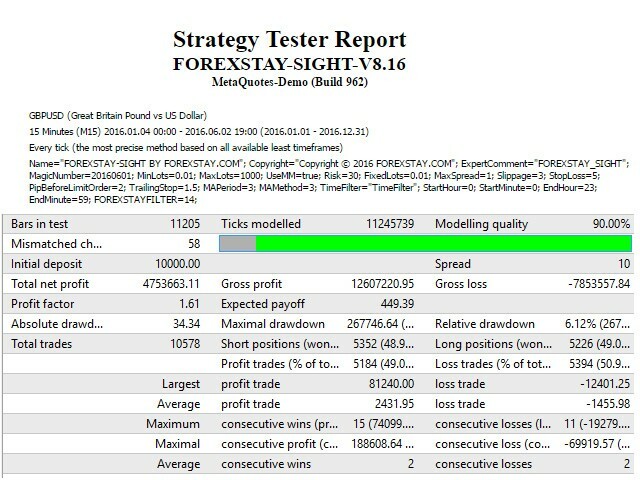 It always uses stop loss to protect your money with low draw down and works on all brokers. 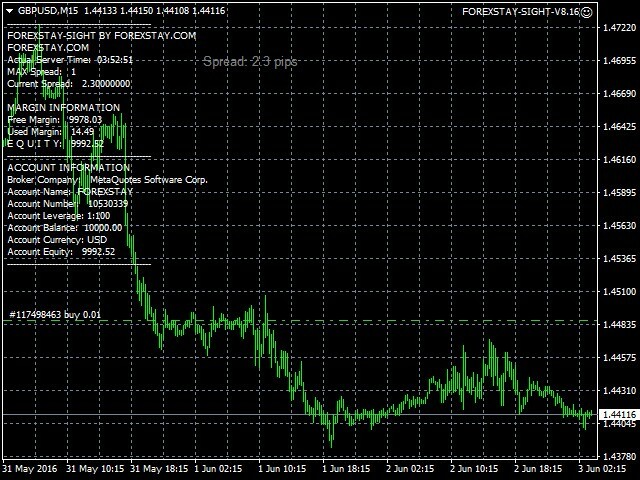 This EA does not need any complex setting, just add to GBPUSD or EURUSD on 15M chart, and you can trade or test it as you like from 1971. It is recommended to use a low spread broker and a VPS. 1:500 leverage or more is good. If you have a micro account, you can start using it with $100 only. 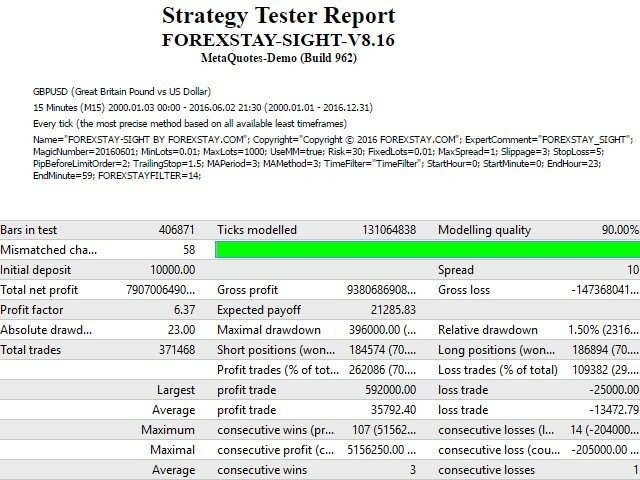 ForexStay Sight works on one of our many live signals accounts, not on demo accounts. 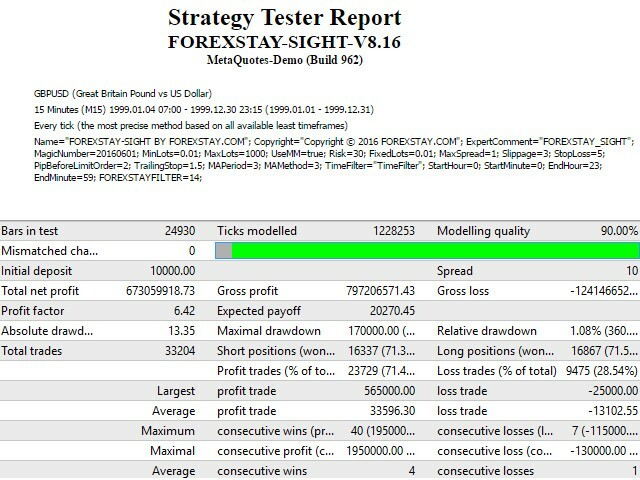 You can look at our real signals in any time at mql5 site via https://www.mql5.com/en/users/forexstay/seller. 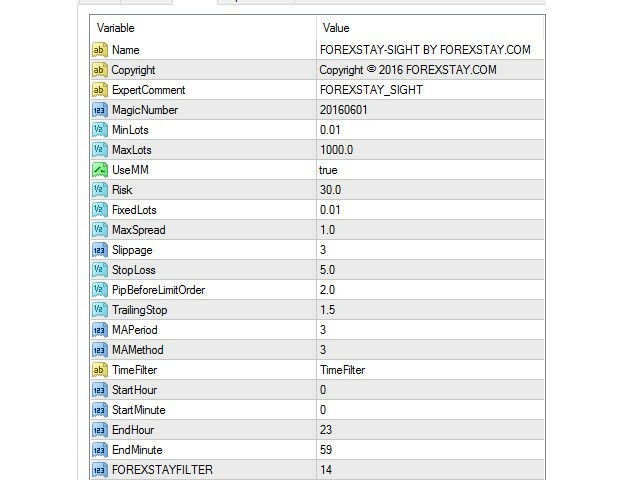 SightSystem— SightSystem auto load setting file. UseMM — Enabling capital management (Money Management). Risk — Capital Management Risk. FixedLots — Lot size for fixed trade if Money Management is set to FALSE. MaxLots — Maximum lot (with the UseMM value FALSE, the volume of the lot will not increase). Slippage — Slippage. 1-3 suggests - no more and no less. Excellent product, excellent developer, highly recommended. - Add new setting Sight System auto load setting file. - removed all not used setting .